Okay, I’m going to say it… for a historian, someone who is passionate about history and the preservation and promotion of history, I thoroughly dislike historic knitting patterns. Maybe this isn’t fair; I’ve worked with exactly two ‘vintage’ patterns, but both have been less than straight forward. Both, however, have given me the chance to do some reading and research into the history of these patterns, and the history geek in me has loved every second of it! The first pattern I made was a World War I sock, based off a pattern I found in a local newspaper in 1916. It was the second pair of socks I made, and the directions were clearly meant for someone who was not a sock novice. Instructions for the heel flap and the foot gusset were lacking, and I had to rely on common sense and my knitting circle friends for advice! Newspapers from that time period are scarce – hard copies that have been donated the the Archives are what is available as they are not available on microfilm. We are lucky that the papers we have have since been digitized. I was able to read through the papers from the First World War and I loved reading about the 116th Knitting Society who worked hard to send socks overseas to the Canadian troops. 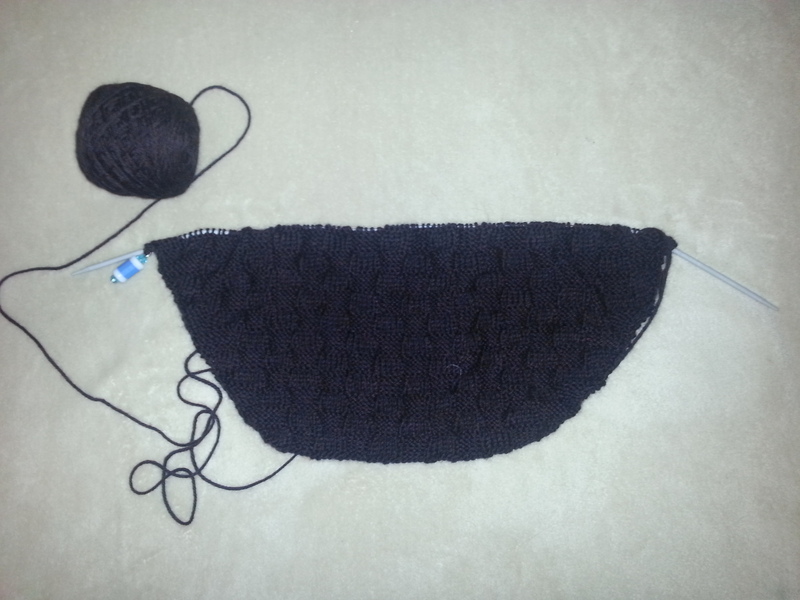 The second pattern I’ve tried is the one I’m working on right now – the Sontag. This pattern was first written in 1860. It is a lovely piece, a wrap/shawl combo meant to provide warmth to the torso without adding extra layers on the arms, leaving them free to work as needed. This piece, also called a Bosom Friend, was likely named for Henriette Sontag, a noted German opera singer who was popular during this time period. 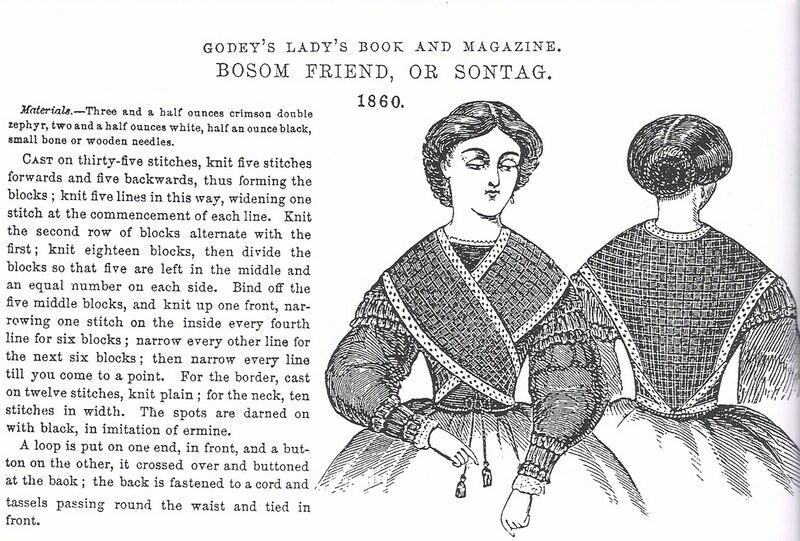 The pattern first appeared in Godey’s Lady’s Book in January 1860, although they do not explain why it has been given the name ‘Sontag.’ The Bosom Friend makes sense, knowing, ahem, what the garment covers and how it crosses over, but why Sontag? 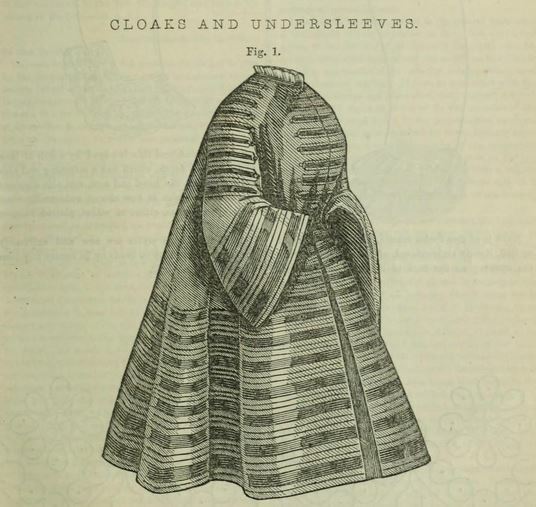 Did she wear something similar, or was Godey’s making an inference to Sontag’s anatomy? From the illustration, this looks nothing like the piece I am currently making. Miss B of Fair Haven – We do not know the material of the title given, but presume it is a style of poplin. Such fancy names are usually invented for country towns. A Broadway or Chestnut Street mantua-maker would but smile if you should ask her to make you a ‘Parodi,’ a ‘Sontag’, or a ‘Eugénie,’ when you meant a certain style of basque. As regards the second inquiry, poplins are never flounced – the material is too heavy. There were a whole lot of textile references in that quote that I hadn’t heard before. Poplin is a strong fabric; mantua-maker is a historical sewing pattern company; Parodi, well I’m not 100% sure what that is referring to; Eugénie is likely in reference to Empress Eugénie, wife of Napoleon III who would have set standards for popular clothing, much like celebrities today – she greatly popularized a coat known as Eugénie paletot; and, basque, in Victorian fashion, refers to a closely fitted bodice or jacket extending past the waistline over the hips (thank you Wikipedia!). From the sources I could find online and through Archive.org, it looks like the first knit pattern for a Sontag appeared in 1860, and it is the basket-weave pattern I am working on currently. 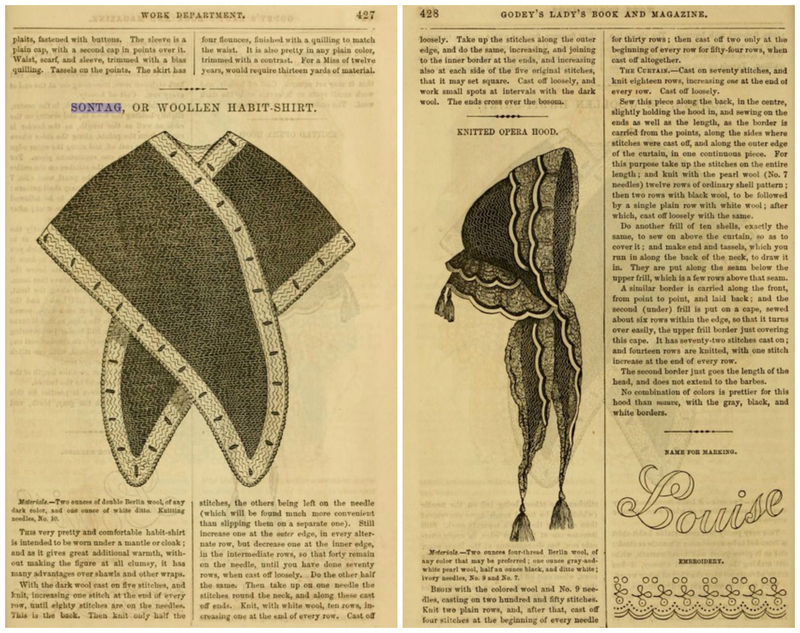 In 1861, a second pattern is published which would be more straight forward for a novice knitter, but it does not have the basket-weave fabric that the 1860 pattern produces. 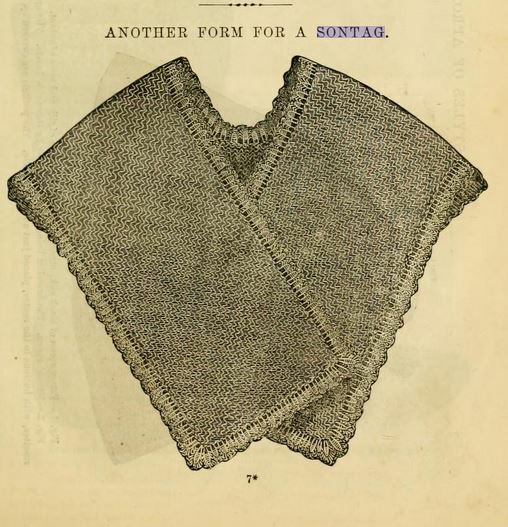 And again, in 1862, they published another image of a Sontag, this time more rectangular than previous and without a pattern to accompany the image. Godey’s never outwardly states that this style of wrap was named for Henriette Sontag, but she was known to them and was well regarded. It is likely that she wore something similar, it became popular and has been named in her honour. 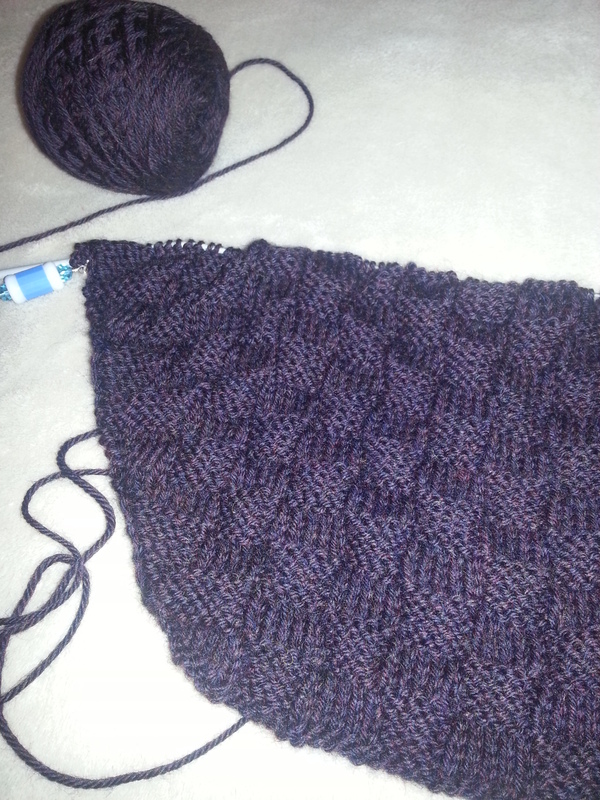 Once I cast on and started knitting, I am enjoying this project, but the initial start was frustrating. The directions for the basket-weave, as written in 1860, aren’t straight forward, and everyone who has tried to ‘interpret’ the pattern has a different way of explaining the directions. I am a very visual person so to knit something, it is helpful to me if a) I’ve made it before, b) there are clear instructions, or c) there is a video or someone to help explain it to me. I cannot look at the written words and know immediately how the finished piece will look. I’m more of a ‘trial and error’ kind of person – I try to figure it out and if it works, great, but if not, then we frog and start again. After reading 3-4 different interpretations on the construction, I simply said, to hell with it, I’m going to muddle through. And muddle through I did. In hindsight, I would have altered the way I’ve knit the pattern at the sides when increasing, but it won’t bother me so much to want to start over. The basket-weave is ultimately working up to a lovely fabric, and the deep purple colour of the yarn is making me very happy.